Dr. Christopher Moran is a 27-year veteran of public education who believes every student is blessed with gifts and abilities and he is driven to employ great leaders, teachers and support personnel to help students discover their areas of giftedness. He is product of Whitehouse ISD, graduating from Whitehouse High School in 1987. He served as a teacher, coach, bus driver, assistant principal, and principal of Whitehouse High School from 1994 - 2006. 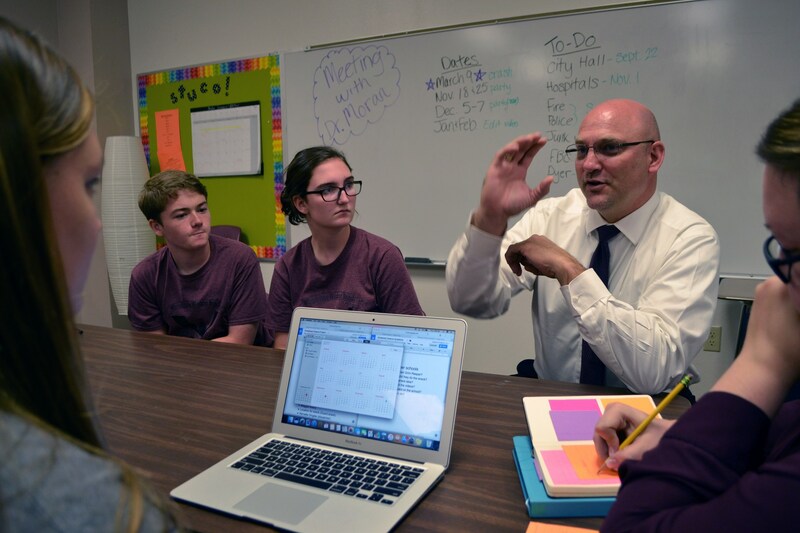 He has served as principal of Clear Lake High School, leading that campus from an Acceptable to Exemplary rating in just two years, and being named the largest exemplary high school in The State of Texas with more than 3,600 students grades 9 - 12. Dr. Moran served as Superintendent of Brownsboro ISD for five years prior to returning to Whitehouse. Dr. Moran was named Teacher of the Year (2000), High School Principal of the Year for Region VII (2006), Secondary Principal of the Year in Clear Creek ISD (2010), and has been trained by the Texas Association of School Administrators (TASA) as a mentor for new superintendents in the state. While serving as principal of Clear Lake High School, Dr. Moran served on the Texas Association of Secondary School Principals Board of Directors (2007 - 2011). In addition, he received training from the Region IV Aspiring Superintendent Academy in 2009. Dr. Moran received a B.S. in Education from Evangel University (1992), a Masters in Educational Administration from The University of Texas at Tyler (2001), and a Doctorate in Educational Leadership from Stephen F. Austin State University (2005). He has received Post-Doctoral training through the Lamar University Center for Executive Leadership (2015) and is a current member of the SMU East Texas Superintendent Peer to Peer Leadership Network (2017). He has been appointed to serve a 3-year term on the Texas Education Agency Commissioner’s Cabinet as one of 20 superintendents across the state to serve in an advisory role to the Texas Commissioner of Education. With a heart for students, Dr. Moran is committed to ensuring all students are safe and secure, feel loved, and every student learns at high levels each day. Dr. Moran’s courageous leadership is leading Whitehouse ISD through a complete overhaul of the PreK - 12 instructional program and a $94.8 million dollar bond program, which will provide facilities designed to enhance learning and promote student growth. His love for the Whitehouse ISD community is demonstrated every day in his interaction with students, staff, and community.